Dairy farms are businesses that support local communities. • According to the Minnesota Department of Agriculture, each dairy cow in Minnesota has a total economic impact within the community of nearly $25,000. 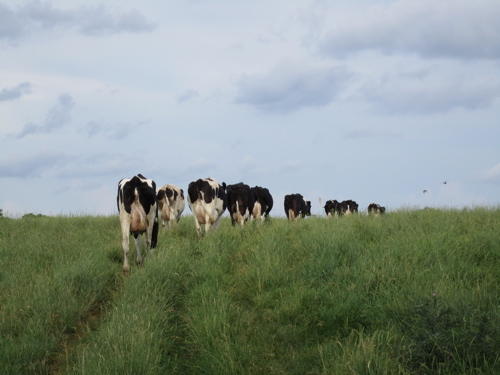 • In the past year, our farm sold over $350,000 worth of milk to our cooperative. Those 233,837 gallons of milk provided jobs for milk haulers, lab workers, cheese makers, and other cooperative employees. • In the past year, our family and farm expenditures were over $450,000. Most of those dollars were spent in our local communities. We did business with local feed mills, farm equipment dealerships and repair shops. We bought gas, groceries, insurance, seed, and supplies. We paid for services such as veterinary care, custom harvesting, manure application, and relief milking.